The Mouse Connection: Details for Fast Pass +? It is in the fine print! Details for Fast Pass +? It is in the fine print! 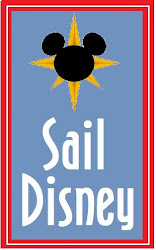 My Disney Experience - My Disney Experience is the collective name for the revamped internet presence. You can view this new site via the same old website that has been updated with a nice new look and feel as well as a Smartphone app. Both have a new modern look and feel and appear that they will offer a more customizable approach to planning and tracking your vacation details. I will warn you, as with all new technology, there are still a few kinks that need to be worked out, but the site as a whole seems to be geared toward getting guests information they need when they need it. All parks now have free Wi-Fi access making it much easier to get online. FastPass+ - Disney has done a fair amount of testing of the FastPass Plus system, but there has been very little information about how it is going to actually work. 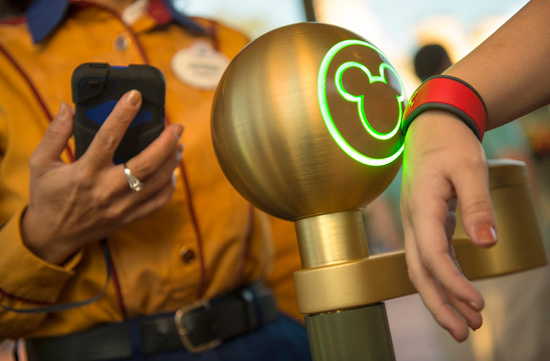 We've known that you are going to be able to schedule your FastPasses, but not much else.Well, you know that fine print that pops up when you sign up for an account on a website? I am the nerd that actually reads it (well, sometimes). When I signed up for a new My Disney Experince account, I did read the find pring and found some really interesting information. ONLY ONE FASTPASS+ PER RIDE PER DAY AND ONLY ONE PARK PER DAY - "You may make FastPass+ selections for one park per day. You may only select and redeem aFastPass+ selection for a particular attraction, entertainment or restaurant experience once per day." EDITED: This is not one pass per day, but one pass per attraction per day. This will actually make things more inflexible for guests that know how to effectively use FastPasses. Free for RESORT GUESTS ONLY? - "A confirmed FastPass+ selection is not valid for admission to any theme or water park and valid park admission is required to make a selection and redeem a FastPass+ selection. To make aFastPass+ selection for you or your Friends, you must retrieve a Resort package reservation including valid park admission through your account or associate valid park admission to your account. " A PAID ADD ON FOR OFF PROPERTY GUESTS? - "Ticket holders holding passes or tickets with block-out dates may not make FastPass+ selections for any block-out date without the purchase of separate valid park admission and assigning that admission entitlement to your account. " I am not sure exactly what that means! AVAILABLE AT SOME QUICK SERVICE RESTAURANTS - "A FastPass+ selection for dining at a FastPass+ designated table service or quick service location secures your arrival window and allows you to order meal prior to your arrival window. Each guest who has ordered ahead must have a FastPass+ selection for the same arrival time and location confirmed by the Site/App." I am not sure that I would bother using my sole FastPass+ for the day on a quick service meal, but maybe it is worth it to some. THE SUPER FINE PRINT - You can start booking 60 days prior, the number of Fastpasses is limited and subject to availability, FastPass+ times will continue to be strictly enforced, can be used for shows, special viewing areas for fireworks, attractions and dining, times or attractions may be changed due to operational issues related to a particular attraction. So what you you think? I think I am on board with FastPass+, I think it will be a nice enhancement without feeling you have to schedule every second of your vacation. I like the Magic Band idea, but I am not sure how much I would enjoy a semi permanent plastic bracelet on my wrist in the heat of summer. I think it is going to take a while for me to warm up to the My Disney Experience website. While it is pretty, the glitches are driving me a bit crazy. I am hopeful that they will be resolved sooner rather than later. It is a little more cumbersome to set up but gives a nice reward for the effort.. The "vacationer" in me will ultimately enjoy it. 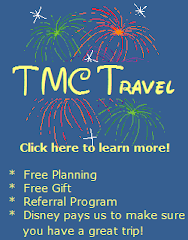 I am not sure the "travel agent" in me will ever love it in it's current format. "A little more cumbersome" times many, many families really adds up. That said, I am looking forward to taking it for a spin for my family's vacation this spring!